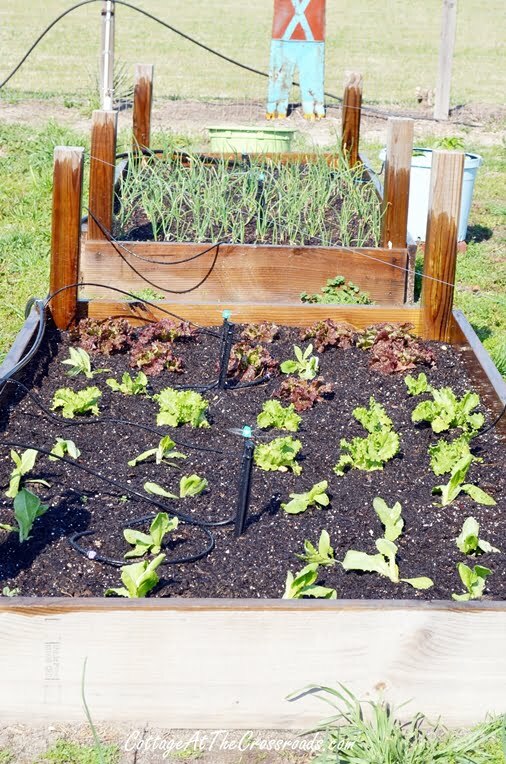 To make your dream vegetable garden a reality, let’s get started right away. 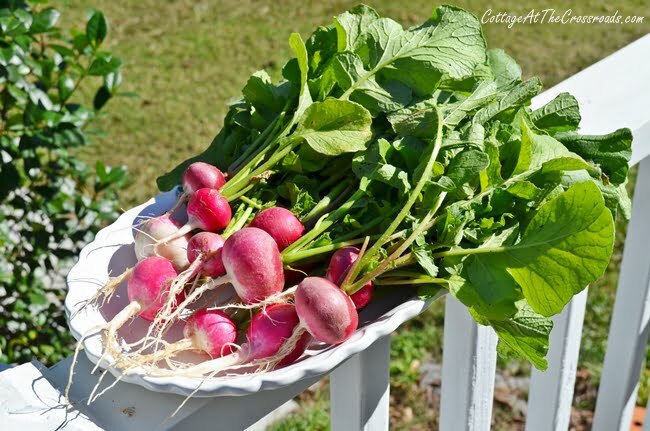 You’ll need an area that gets at least 6 hours of full sunshine a day, although there are just a few vegetables that will tolerate some partial shade. Do yourself a favor by locating your growing area close to your house for convenience and make sure there is a nearby source of water. This is important! START SMALL! I think that the number 1 mistake that first time gardeners make is planting a vegetable garden that is too large. It’s easy to become discouraged when you’re overwhelmed with the maintenance. You may want to start with container growing, a few raised beds, or a small flat plot of land. Here’s how I built our Raised Beds. 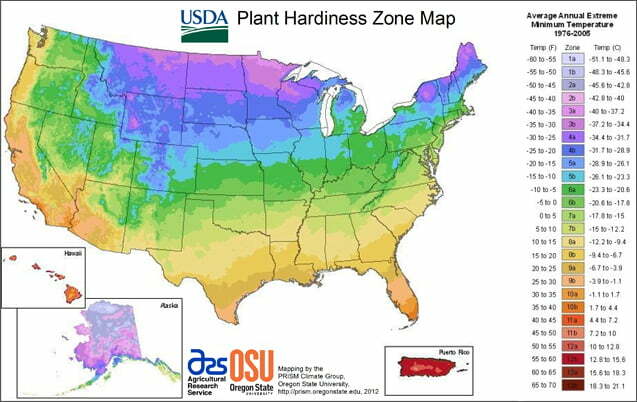 The United States Department of Agriculture has divided the US into different zones based on average annual temperatures. Knowing your zone will help you select vegetables that are most likely to thrive in your area and will help you determine when you should plant. In addition, each state has a Cooperative Extension Service that breaks down your state into even more gardening regions to give you an accurate planting date for every vegetable that you might like to grow. As an example, we consult the Clemson Cooperative Extension website for our planting chart. Knowing when to plant each individual vegetable is important. Here in South Carolina, we plant our onions, peas, potatoes, radishes, cabbage, lettuce, and carrots in February. Growing vegetables is not just about throwing some seeds into the ground. 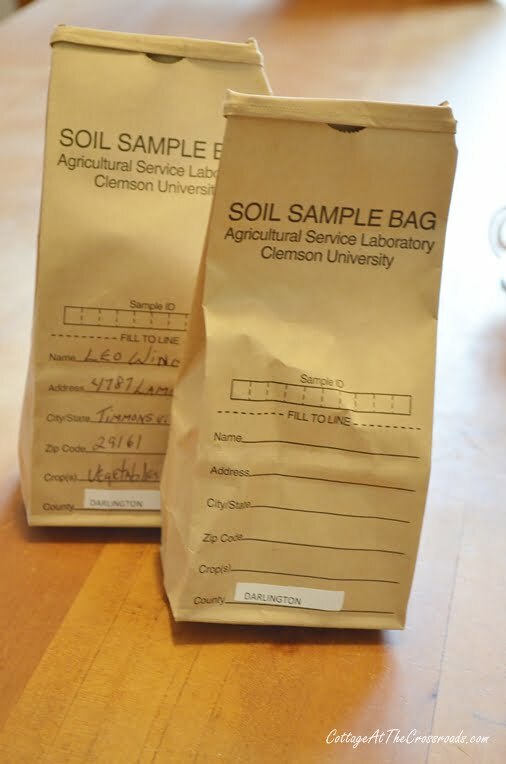 Although you can buy testing kits, I highly recommend that you have your soil analyzed by professionals. Again, your local cooperative extension office offers this service for a nominal fee and in our case, $6 per sample. 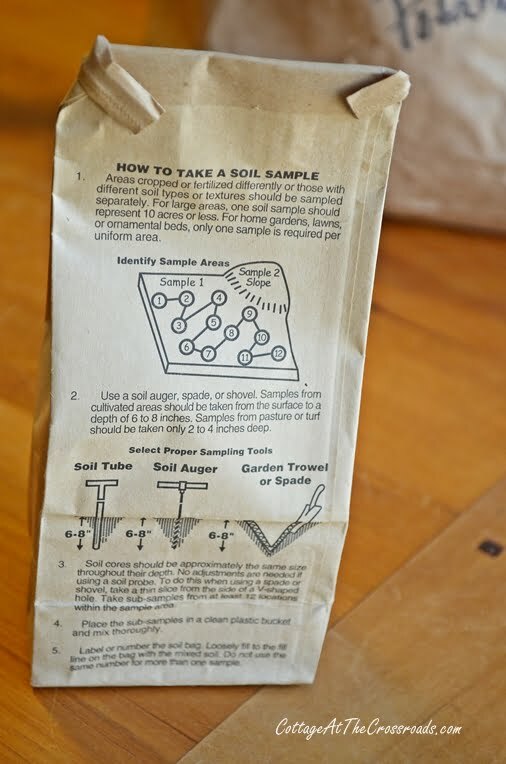 Taking a soil sample is very simple. The directions are printed on the back of every bag. Even I can do it! Within a week to 10 days, you will receive the results. It’s a detailed list of elements and nutrients in your soil with recommendations on how to amend your soil for maximum vegetable production. Once you have that information, you can begin preparing your garden area by tilling or turning the soil and removing all grasses, weeds, and rocks and adding the recommended amendments such as compost, fertilizer, or lime. Make a list of the vegetables that you would like to grow and only choose the ones that you and your family will eat. Select varieties that grow best in your area. I think the best tip I can give you is to get to know and make friends with the proprietor of your local feed and seed store. 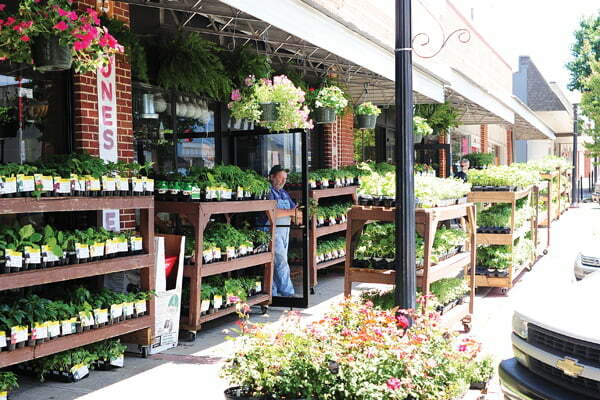 He or she, through years of experience, can recommend what varieties grow best in your area. You’ll find that they are a wealth of information. Some things can be grown from seeds, and other things are best grown using transplants especially for a first time gardener. They can tell you those things. I’m a firm believer in supporting local businesses. Just sayin’! It’s also a good idea to spend the next cold, rainy day with a hot cup of coffee at your local Barnes and Noble looking at gardening books to learn more about each vegetable. We’ve found that every time we do this we get new ideas and information not to mention the caffeine buzz from Starbucks! Grab a piece of paper and pencil and sketch out your garden now that you know the spacing requirements for each vegetable. Tiny seedlings and transplants need regular water after being put into the ground. After they are established, it’s better if they are allowed to dry out a bit between waterings which encourages a more robust root system to develop. A good guideline is that most plants need about an inch of water per week. I’m just going to say one ugly word at this point-WEEDS! They are probably the biggest headache and source of most frustration for all gardeners because they are relentless. When you fertilize and water your vegetables, you are doing the same for the weeds! But the fact is they must be removed because they compete for water, nutrients, and everything else in the soil. And if left unattended, they will choke out and kill your vegetables. In my case, because our garden is so large, this is a full-time job and that’s why I’ll repeat, start with a small garden. While you are pulling weeds and the 95 degree sun is beating down on your neck, stay focused on your goal. 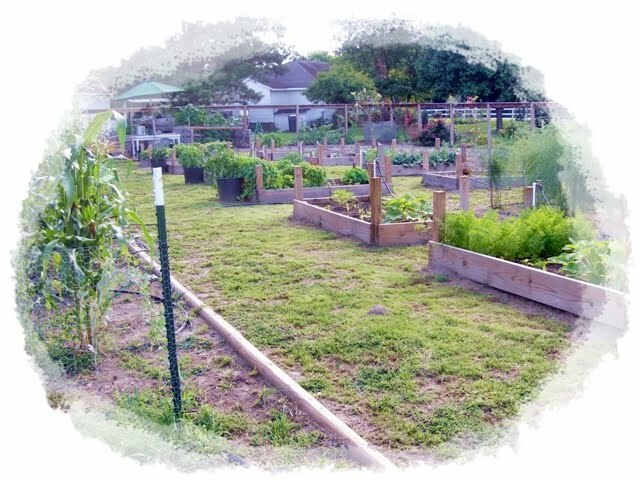 Fresh vegetables from your very own garden! In the end, it’s all worth it. In conclusion, (wait a minute!) there is no conclusion to vegetable gardening. It is an on-going learning process with new challenges each and every season. You’re going to make a lot of mistakes because everybody does. But don’t worry, you will still have plenty of vegetables for you, your family, and a few of your neighbors, too! If you decide to plant a garden this year, please let me know how it goes. Great tips! I am hoping to do my first garden this year & I will plan to start small. Way smaller than I was originally going to do! I have read somewhere recently that deer hate Creeping Thyme, might be worth investing in some! That’s kind of hilarious to watch even I have to admit! Again, thank you! You have given me something different to do this year besides organizing my spice rack (again!!) and cleaning my linen closets (again!!!)! Or for Real excitement!-organizing my husband’s sock drawer (again!!)! Okay…I am joking. Kind of. But honestly,you have opened my eyes and mind to the possibility that even I could grow a garden and possibly not kill all the plants! 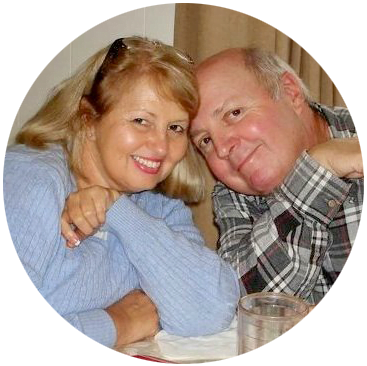 For that…I am VERY appreciative!! And I’m going to try it also!! Which is the best part of all! Because it will shut my family up once and for all!! I found your blog on Pinterest and am so thankful for your tips! I’m a rookie gardener and need all the advice I can get 🙂 This spring will be a great learning experience for my husband, son, and I! Hi, I just came across your blog on Pinterest, and I love the straight-forward advice!! I am planning our first raised garden now, and am already feeling a little overwhelmed. But, I think the kids and I will have fun with it, and learn lots 🙂 Thanks!! Great article for first-timers! These principles will apply to any kind of gardening. You are so right about starting small! 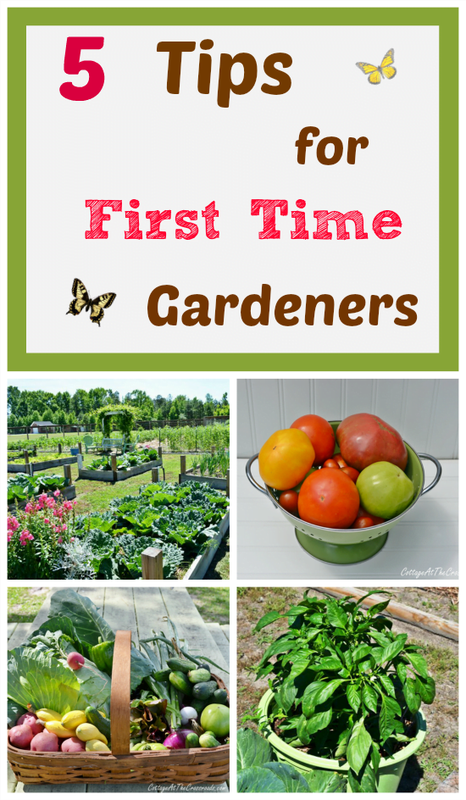 I think the biggest problem beginner gardeners face is feeling overwhelmed. We all have dreams of what our gardens should be like, but it is important to match your garden to your lifestyle. The amount of time and money you have available will determine to a great degree what kind of garden you’ll be able to manage. Hello, thank you for writing such a great article! I have a question. How do you deal with the stress of family members controlling the garden plan, not doing the work, and not going with the idea of just starting small for the very first year? We recently bought a small piece of land and everybody is excited for this year! But along with the enthusiasm is a lot of overachieving spirits. You see, although I have had wonderful help setting up the growing table and making garden beds I am the single worker of the garden. I planned a smaller garden then everyone wanted due to finances, the only person working the garden, and not enough time in the day. When they realized that the garden wasn’t what they wanted I found myself being pressured into doubling and tripling the amounts of plants I was starting. This is a mess. There is NO room at all in our five garden beds for 30 tomatoes, 30 peppers, exuberant amounts of onions, carrots, melons, squashes, lettuces, potatoes… the list goes on and on and the only option is to till a large amount of area and just stick them in the ground and hope they grow. Also, without me knowing until after it was done some family members went out to two of the existing beds and turning the grass and weeds back into the beds… Will that cause more weeds to dig out this spring? Wow. A family meeting is in order to set some rules. If you are doing all the work, then you should assign each person some responsibility. A garden is supposed to be a fun venture with great rewards. Jane and I consider it therapy and we give away extra veggies to family and friends. Good luck. Life’s too short. That is a good idea! I think I will write down some basic chores right now. Thank you for sharing your thoughts on this and answering back so quickly! Have a wonderful evening. Make a schedule for the other family members that want a bigger garden. They should consider the extended garden their responsibility. If they can’t commit to helping with maintenance then tell them the garden stays small. They are welcome to make the garden as big as their commitment. And stick to your guns! What great tips! You guys have such a beautiful garden. Thank you for sharing all the information! Great tips….I need a tip on how I can do an invisible fence to keep the deer away! !….I look forward to your wonderful gardens this year!!! You might want to try one of the deer and other animal sprays that is made from all natural things like cayenne pepper and eggs. They don’t like the smell or the taste. For vegetable gardens I would not spray it on the veggies, just around the area. I have sprayed around my daylilies, hostas and other plants that the deer love and it has worked well. I spray about every week for about a month and taper off to every other week or when it rains and washes most of it away. Once they get the idea that it’s something they don’t like the taste of they stay away. Hope this helps! Thanks for allowing me in. Great pointers. AZ Desert in mobile home park is about the hardest place in the I know of to garden, but the rewards are out of this world. Thank you for the wonderful tips. We don’t live in an area where we can have gardens, but we’re hoping to someday move to property where we can. We did plant a few tomatoes a couple of years ago, though. Shh, don’t tell the hoa. Starting small sounds like a very smart idea! I live in Orlando, Fl. I have a very small 10×10 garden. I will be planting plants from Lowes, zucchini, okra, tomato, mini eggplant, yellow squash, onion? Do I need to plant more than one of each plant? It is just for me. But my biggest question is fertilizer. How much, what kind and how often. I saw this on Pinterest and had to come over. The part about gardening being an ongoing learning process is so true! I don’t have enough sun to grow many veggies. I had pots on my deck last summer and managed to grow some little tomatoes. Herbs do well too. Other than that it’s the Farmer’s Market for me. I love following along with your garden activities. You have accomplished so much! Hi, great advice. I wish to point out that it makes sense to use the waiting time, to start working on your plot. Extracting weeds once before planting makes it easier. And you are using your exuberation period for a sticky piece of work! And mulching the garden is a good way to keep the weeds at bay and fertilize your garden at the same time. I have been told, that some people just leave the leaves etc, of the harvested plants on the earth it was grown in. I haven’t tried it though! Thank you for the wonderful help. This will be my first time having a garden I will follow your advice and let you know how it works out.. Thank you again. I always admire your beautiful garden and so wish that you were my next door neighbors! Great advice. I need to test my soil for sure and find a way to keep the deer out.